Modern, spacious 4 bed house, sleeps 8 comfortably can sleep a max of 10. It is situated beside the sea amid the most stunning coastal scenery of the Wild Atlantic Way on Slea Head. 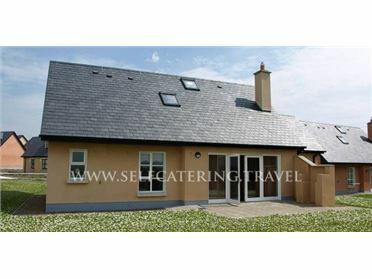 The house overlooks Dingle bay and has spectacular views of the Skelligs and Blasket islands. Slea head itself is just a stroll away. Coumeenole beach is just 2 miles away and Ventry beach is just 4 miles away. Dingle is 9 miles away and Killarney is 50 miles. The guests will have full use of the entire house and grounds. The house is situated beside the sea amid the most stunning coastal scenery of the Wild Atlantic Way. Indeed it is just beside the Signature Point 'Ceann Sleibhe' (Slea Head), indicating that it is one of the most beautiful parts of the amazing driving route. It is also on the Slea Head Drive, a beautiful driving route on the Dingle Peninsula, and just below the Dingle Way (SlÃ­ Chorca Dhuibhne), a terrific walking trail. It is surrounded by archaeological monuments, and by a working sheep farm. Views to the south-east, across Dingle Bay, of Carrantuohill, the highest mountain in Ireland, south across to the Iveragh Peninsula and west to the Blasket Islands (which can be reached by ferry from DÃºn Chaoin (Dunquin), only 4 miles down the road. Choughs and gannets abound in this area, and you might be lucky and even see a pod of dolphins passing. If you have an interest in film, you would like to know that some of 'Far and Away', starring Tom Cruise, was shot here, and much of 'Ryan's Daughter' was shot nearby. More recently, 'The Last Jedi', of the Star Wars series, was shot only a few miles away â€“ so they have certainly recognised how beautiful the area is! The Dingle Peninsula has probably the greatest concentration of archaeological monuments of any part of Ireland, and they are here for you to discover. Your host will be able to advise on visiting many sites, from Bronze Age to Medieval.